Jackie's Journey "How do You do in the Trenches?" A vibrant Christian life is found by losing our lives in others! “Whoever finds his life will lose it, and whoever loses his life in others for my sake will find it.” Matt. 10:37-39 All the virtuous character qualities in the world can be summed up in the truth of that one verse…dedicated deference living for the benefit of others and the glory of God. Not stumbling blocks, but stepping-stones! It would make us all declarers of truth, servants, teachers, exhorters, givers and bearers of one another’s burdens. The body of Christ would function. The home would be filled with God and His ways. Our children would rise up and call us blessed. Harmony would rule! These are the last of the 31 virtues from last week. These verses can be prayed into your life and the life of your husband and children. There are 31 total…one for each day of the month (with your Proverb of the day). The Proverbs 31 virtuous woman has no name and we don’t know what she looked like or her personality. We learn of her inner character. She understood God-control and the blessing of surrendering to Him in her choices. She is being praised for her spiritual character…not her physical beauty or accomplishments. Many of the virtues listed here are acknowledged in this last chapter of Proverbs. Are you a woman of excellent character? Do those following you see God in you… in your conversation, actions and attitudes? Crisis reflects our virtue or lack of it! How are you in the trenches? Posted on November 13, 2017 by Jacqueline Johnson and filed under Being a Wife, Character and Virtue, Motherhood and tagged How do you respond in a crisis? It makes or breaks you Losing my life in others. We have been given everything we need to live a godly life. There are no excuses for not living a life of moral excellence. “For this very reason, we are to make every effort to add to our faith, moral excellence; and to moral excellence, knowledge; and to knowledge, self-control; and to self control, perseverance; and to perseverance, godliness; and to godliness, brotherly kindness; and to brotherly kindness, love. There are 30-31 days in a month; just enough time to read a Proverb a day (written by the wisest man who has ever lived!) and finish the book each month. If you prayed the 31 virtues (that I am about to share with you) along with the Proverb of the day, into the life of your child…just one each day…you would be well on your way to seeing God’s will placed into the heart of your child and a clearer understanding of your own position and calling as a parent. Part of virtue is learning to build personal moral standards into your life, which will cause others to desire a more godly life. All the virtuous character qualities in the world can be summed up in the truth of that one statement…dedicated deference living for the benefit of others. It would make us all declarers of truth, servants, teachers, exhorters, givers and bearers of one another’s burdens. The body of Christ would function. The home would be filled with God. Our children would rise up and call us blessed. Harmony would rule! 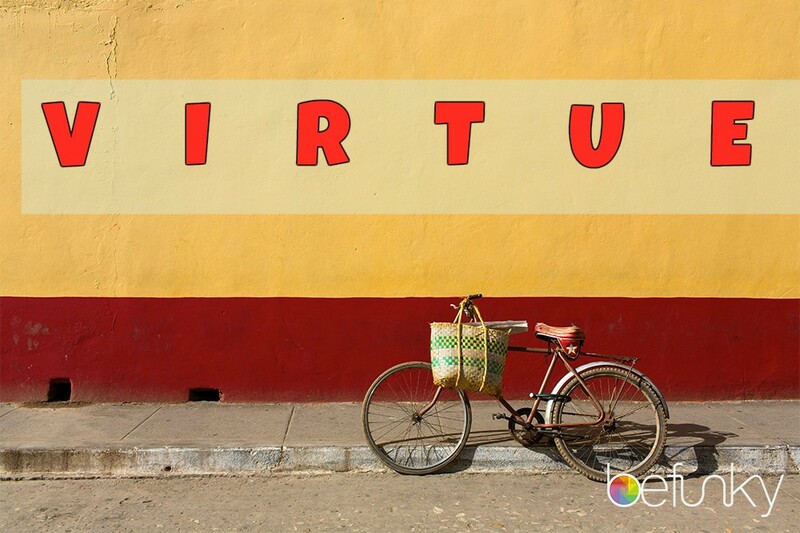 Please look for the remaining 15 Virtues next Monday…I’ll see you then. Posted on November 6, 2017 by Jacqueline Johnson and filed under Being a Wife, Character and Virtue, Motherhood and tagged Moral Excellence Called to Godliness Sacrificial life dedicated to inconvenience. Jackie's Journey: It's All About the Attitude! I am a former tribal missionary to the Kuna Indians on the Colombian border in Central America. Fluent in several languages, my husband and I currently pastor a spanish-speaking church in Southern California. My passion is mentoring and equipping dedicated young women for life, marriage, motherhood and beyond. I am a mother of two daughters and the grandmother of three Princesses and four young Knights. Posted on September 19, 2016 by Jacqueline Johnson and filed under Motherhood, Being a Wife, Character and Virtue, Spiritual Growth and tagged attitude panama columbia drug runners chuck swindoll. In the Old Testament, the people are ordered by the Lord to make fringes on the borders of their garments. This distinguished them from their neighbors in dress, as well as in diet and other things. The tassels were to stir up their minds by way of remembering. If they were tempted to sin, the tassels would warn them not to break God’s commandments. As I was studying this verse, I was wondering what are the tassels in my life. Something I can visually see. Looking around my house, I saw the familiar verses on plaques and pictures frames with well-known scripture staring back at me. These reminders help me to follow after God with my whole heart. Filling our homes with God’s word is powerful and commanded by God. He says in Deuteronomy 6:7–9 that we are to teach our children his commandments, but also “you shall write them on the doorframes of your house and on your gates”. In almost every room, there is a scripture quote. Not only will our children learn the verses, but everyone entering our home will be able to read God’s word which never comes back void. Just think of using scripture to decorate each room in your home. How could we do this? I ran across a wonderful company called Mary and Martha that make home accessories to “style your home with a message that speaks”! You can find their link here. I love art, but nothing fills my soul and my heart like the writings of the creator of the universe. His words bring a piece of heaven down to earth. 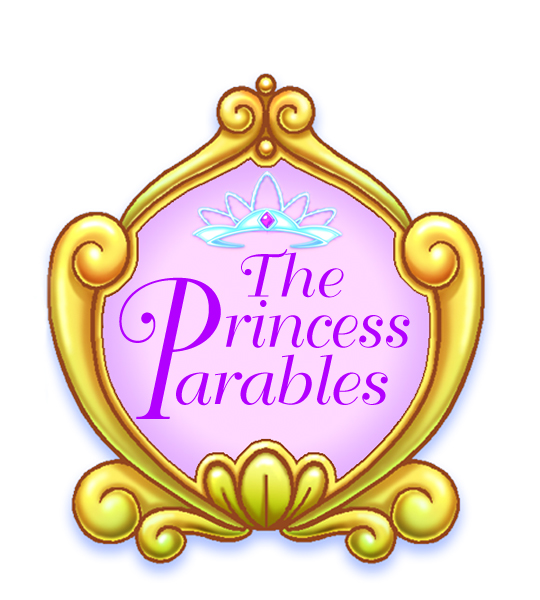 Come to think of it, our books, the Princess Parables series, are like tassels for our girls. Each story is based on a parable of Jesus right out of the Bible. 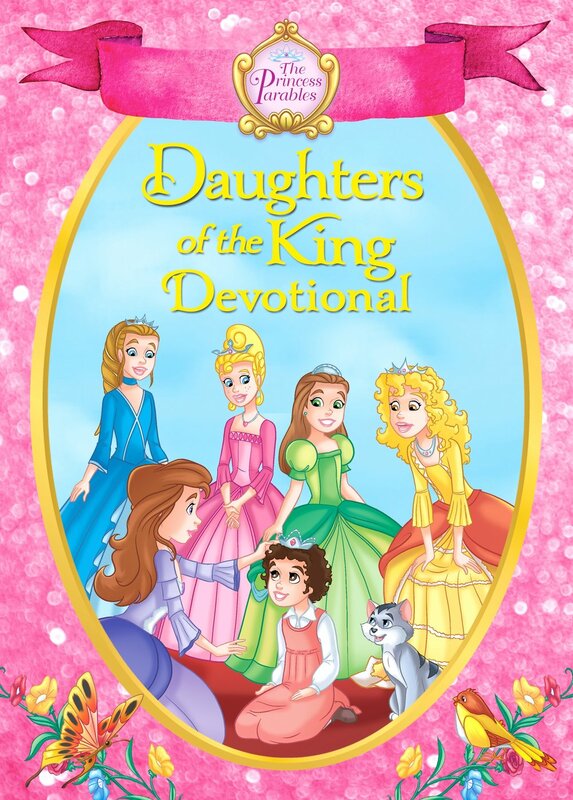 The princesses help little girls follow God’s commands and be more holy. Having our books as part of their regular reading time or bedtime helps princesses remember to do what is right in God’s eyes. What are the “tassels” in your life? When Jeanna is not writing, speaking, event planning, or homeschooling, she can be found scrapbooking her life, redecorating her home, loving on her husband, planning fun events for her kids or eating healthy to stay cancer-free! 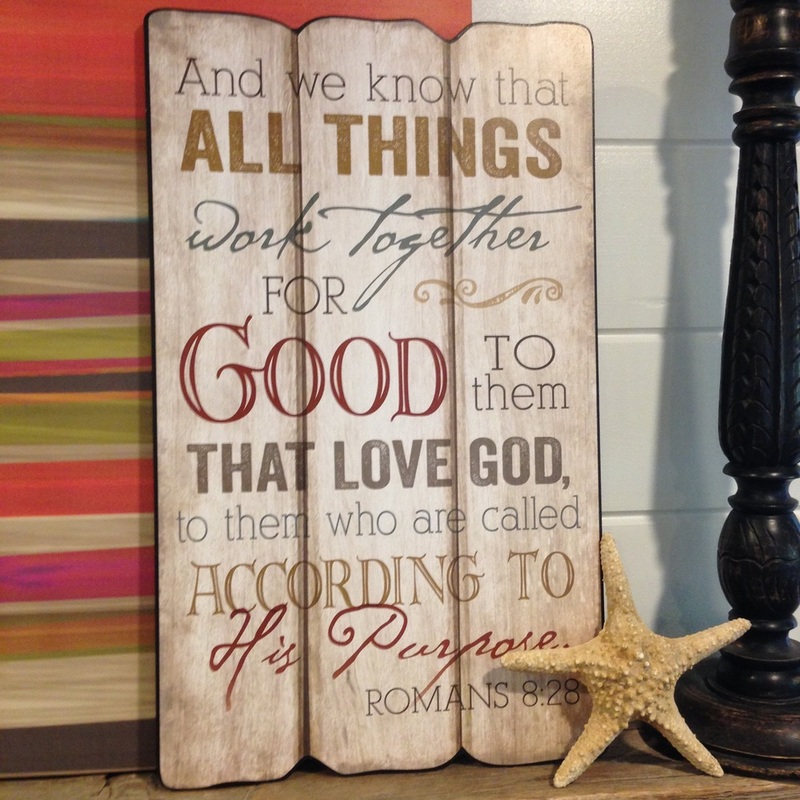 Posted on June 24, 2016 by Jeanna Young and filed under Being a Wife, Motherhood and tagged tassels home decor decorating scripture scripture art scripture wall decor. Spring is here! I see it all around me. My favorite tree, the Jacaranda, is blooming gorgeous purple flowers on every street here in Southern California. My roses are budding in every color and the nights are getting longer. I just love spring! It’s been a few years since I have done a thorough cleaning of our home. This last week a girlfriend helped me clean out cupboards and closets. Some items untouched from the day we moved in 13 years ago! Within my soul, a cleansing began. At the same time, we began a body detox to rid our bodies of toxins. Since fighting cancer a second time, I attempt to clean my body every four to six weeks to hopefully stop it from making these evil little cells again. Within my soul, a cleansing began. Experiencing an overload over a few months, I have found myself too busy heading out to conventions, homeschooling the kids, traveling on many airplanes and living just day-to-day with four kids and husband. Funny, no matter what is going on they still want to eat, have clean clothes and a mom/wife to depend on. I was desperately needing a refocus! I began Spring Cleaning of my own heart and mind! I took a break from the areas of my life that created too much busyness along with burdens. Obviously, I could not cancel everything on my schedule, but I wanted a clean slate (as best I could). Here within a season of stopping to ask the Lord what He desires me to do, where He wants me to spend my time and who He created me to invest my time in. I scrubbed my soul and swept my journal, just as we scoured and tidied up my house. Looking to scripture for guidance and praying for direction, I brought every thought to the Lord. Providentially, detoxing requires a good deal of fasting and meditating so I continued my quest during this time. What did God reveal during my Spring Cleaning? I am still a work in progress with still so far to go. Many areas brought to my attention are clearly “blind spots” for me. So I am focusing on three character qualities I am working on. I am spending more time with my family and keeping my health in check. I let my soul fill up with junk, exactly like my cupboards. Just as I allowed dust, moths and unwanted items to waste my space, I permitted anger, sadness and pride to seep into the corners of my mind and heart. I hadn’t guarded against the hidden attacks, and my soul felt burdened and heavy because of my careless season. Spring Cleaning continues on in my inner sanctuary. Clearly, I need a deep clean like my oven and sofas. The end is nowhere in sight, but I am committed to cleaning, not only the rest of my house, but the recesses of my heart too. How have you been doing your spring cleaning this year? Posted on May 26, 2016 by Jeanna Young and filed under Being a Wife, Motherhood and tagged spring cleaning detox cancer diet cancer treatment. Jackie's Journey: Calm or Chaos?! I’m minding my own business…reading through Proverbs… and “quarrelsome wife” keeps popping up on the pages! Just ten verses later…”Better to live in a desert than with a quarrelsome or ill-tempered wife.” And in the next few chapters…”Better to live…” an exact quote of Proverbs 21:9!! With chaos all around us (wives and mothers), what would it take for us to maintain a calm peace in our homes? We just celebrated Mother’s Day yesterday. A day set aside to encourage us in our commitment to our families. We are reminded of our role and responsibility to be all God has called us to be. It takes two to quarrel and whether you live with a good listener or an argumentative person, it requires your participation to induce a “quarrel”. No great revelation, but a great challenge for those of us who have our own opinion and think that opinion has value enough to be verbalized. Most attempts at resolving an argument are fought on the battleground of confessing the sin of the other person, rather than acknowledging our own. No one ever wins an argument! Our energy, limited as it often is, is spent recklessly. Our focus is on our need to be right or to have a sense of personal value or to correct a false accusation, rather than the need to know God’s perspective and stepping into the classroom of life and growing-up! What value does our argument have in the light of eternity? How will it profit His life in us? In the heat of the moment the issue seems important, maybe even life-changing. Our perspective is often clouded by our self-life, personal desires and expectations. We are held captive by a force (Satan) pushing us to get our way or have the understanding we think we deserve from our husbands to validate our worth. Self is demanding its rightful position in the relationship. Satan stands back and just laughs! Laying down our demand at the moment and sensing His quiet voice of peace in the chaos of our situation is what His life in us is programmed to do! As mothers, it is easy to lose focus temporarily, and none of us is immune to its pull, but the peace of God that transcends all understanding will guard our hearts (plural) and minds (plural) when we choose to bring Phil. 2:1-3 into focus in that moment of decision before the climatic altercation gets a foothold. Moms, this promise we can “take to the bank”… every time! The promise is the “God of Peace will be with us” if we put into practice that which we have learned or received or heard or seen from Him. Our little ones (and big ones!) are watching and listening to see if we “walk our talk” in the things we say to them to resolve their issues when they are arguing. Do they see God at work or hypocrisy with no hope? However difficult this exercise is when in the thick of an argument, this is the admonition and solution to avoid whatever we feel is more important than maintaining our peace with Him! Our choice: Peace or Chaos! Posted on May 9, 2016 by Jacqueline Johnson and filed under Being a Wife, Character and Virtue, Motherhood and tagged quarrelsome chaos motherhood peace calm hypocrisy wife mother. Thanksgiving is behind us . . . Let the craziness begin!!! Do you feel it? The stress and the rush of this time of year just arrived. It started this morning (or last night) with Black Friday. It will continue on until December 25th. You will add decorating the whole house (inside and out), lots of activities and parties (all fun! ), shopping, wrapping, baking . . . . you know the drill! All added to your regular schedule. Ah, have I stressed you out? I have spent many years frenzied and hectic - not being able to accomplish this task of doing everything perfect at Christmas. There is only so much time in each day and only 25 days in the month to accomplish so much! When I was diagnosed with breast cancer in 2011, I had my surgery right before the holiday season. I was panicked I would not be able to pull off the normal Christmas for my kids. And then at the end of those 6 weeks surgery recovery, my sweet dad died. I was in grieving mode and planning a funeral at the beginning of December. So Christmas 2011 was going to be different. It really got me thinking about the purposes in all of the traditions we did as a family and all of the busyness of the holiday. God reformed my way of thinking so that I can seize the season and experience more of Jesus! If you go to my house right now and open any drawer or closet, you will most likely find a mess. Some of them might be clean, but not all. I am naturally a procrastinator. I don’t want anyone to think I am super organized. I work best under pressure and that is how I used to approach Christmas. Because the old me would run crazy through Christmas so busy that I could barely hold my breath. I was terribly rushed through the beauty of this lovely time of year. My time with the Lord suffered, my relationship with my husband and kids suffered, my life was just one blurry mess. Then it was over and I felt depressed because I never got to “enjoy” it. Does anyone else feel that way? Or have you? First, in order to be sane in the month of December, I have to have a plan. My plan starts in August, when I order all the Christmas cards using the family picture we took over the summer or this year in February! I start shopping in October and planning early. Real Simple has a great list of how to start early. I know that we are know at the end of November and you will either read them and panic or read them and say “okay I am on track”. Start where you are today and just do it! In any case, I don’t want you to read this and feel stressed. My goal is to help you to start with a plan, if not this year, then next. Tackle this year as best as possible. Second, I need to remember my priorities. This is why I make a Christmas plan! What are my priorities during the holiday season? What can I forget or what event can’t we miss? I plan ahead to know those things. For God is a God of order and not of confusion as we find in 1st Corinthians. He lays out his plans in Genesis and references us doing the same in Luke. So this idea is not mine, it is God’s idea for us to be thinking ahead. I like to take everything through a grid. There are so many events we are invited to in December. We have a question grid that helps us figure out what to do. Is this part of tradition? Does it fit within our desire to serve others and the community? Will we grow closer to Jesus as a result of this event? If it doesn’t fit into this grid of questions, we say “no”. Sometimes it is hard to say no to the fun things, but it keeps me less stressed and therefore is necessary. I have created these self-imposed rules to make my life have margin. Why does all the planning and prioritizing matter? Because the goal here is Jesus, not the to do list. Giving ourselves attainable goals is to insure that we are ready and not just flying by the seat of our pants. Having a plan gives us margin, to experience and be all that God wants us to be. It gives us time to play with our kids, help those we see in need and time to spend in Advent (resting and having a Christmas Sabbath). We celebrate Advent here at the Young’s house. I could never do this if I didn’t have a plan. Every night with the kids we open a book, eat chocolate, pray for the Christmas cards we received and read some scripture. This is why we celebrate Christmas – to be focused on the coming of our Lord. There are lots of ways to do Advent. I love Sarah Mae’s Christmas countdown with ideas on each day and how to bring more of Christ into the season. In my quiet time and with the kids, I have enjoyed Ann Voscamp’s Advent books bringing to life the birth of Jesus. Seizing the season means that I am taking back control of the things that I have control over. Then God will be able to interrupt me will HIS plan! Nothing is worse than for God to have an assignment for me in the BIG PLAN and I don’t have time for it! Happy planning friends! I can’t wait to hear what God does with your margin this year! Posted on November 27, 2015 by Jeanna Young and filed under Parenthood, Being a Wife, Character and Virtue and tagged Christmas holidays advent stress planning schedule thanksgiving. Does Your Princess or Knight Eat Too Much Sugar? The holidays are just around the corner. This means a battle with my will power and the endless sweets available. My kids are just like me. They eat too much sugar. They crave it during the day. They think about how to get more of it, either by baking themselves or raiding the cupboards when I am not looking. Funny, I tried to teach them to curb the sweets all their life. The holidays are an excuse to overindulge. Now battling cancer for so many years, I am not supposed to have any sugar. I go through months without even fruit. Then I breakdown and binge on sugar (honey, agave or organic cane sugar) for a weekend or a couple of weeks. I know I shouldn’t, but honestly, it is really hard. Sugar is so bad for me – for all of us. We all know it. In fact, cancer feeds off sugar. One reason we love it is because sugar activates the reward centers of our brain. This releases feel-good neurotransmitters, like dopamine and endorphins. Sugar also helps shuttle the amino acid tryptophan into our brains that is converted into serotonin – this helps us feel calm. No wonder when I am stressed with the kids or having an argument with my husband, I reach for a muffin or a scone! I know I crave sugar when I should really be searching for the Lord in these situations. I have uncovered a life-long idol in my life. Food takes the place of God. My kids are learning and watching me. So we have an open dialogue about sugar and eating healthy. You would think because I eat healthy my family does, too. When I am struggling with my health, sometimes the easiest food is not the healthiest. However, looking back over the last four years, I can see the changes I have made with our food choices. I am really in charge of the food they eat, for the most part. I shop. I cook. I am in charge of their daily food. My kids all eat a variety of vegetables and fruit each day. They will drink smoothies, eat seaweed and take their supplements. But cutting out sugar continues to be a challenge. I am taking an honest look at the holidays and putting into practice the steps here to help my kids eat less sugar starting with Thanksgiving. Obviously, we can’t change all the parties and the feasts that happen this time of year, but we, as the moms, can change what we are doing at home. We can open the lines of communication and help them see how much sugar is “allowable” for our bodies. Here are a couple of practical tips for this time of year and for the new year to reduce the amount of sugar in your family’s diet. When buying food, check out the labels. Try to buy things with 3 grams of sugar or less. If you have an option, go for the one with the less grams. Kids should try to stay under 50-70 grams a day. A big glass of 100% juice can be as much as 28 grams of sugar, so try to just be aware of how much sugar your kids are consuming. We try to limit the kids’ drinks to one juice drink a day and go for water the rest of the time. Sodas are allowed only once in a while, when we are out. I never buy them for the house. Sugar can be listed under a variety of names. High Fructose corn syrup, honey, cane syrup, molasses, brown rice syrup, agave and maple syrup are all SUGAR! Many processed foods will use a couple of these ingredients. We have to be the detectives. Fake sweeteners are associated with weight gain and feed our desire for sweets. They are also carcinogenic and do not belong in our kids’ food. Leave those items with fake sweeteners on the shelf. • Opt for unsweetened or less sweetened. You are in charge of holiday baking. Buy ingredients that are labeled “no sugar added” or “unsweetened”. Applesauce, baking chocolate, canned fruit, non-dairy milk (coconut, almond, etc) and nut butters are all available in unsweetened versions. Also when baking, add less sugar than the recipe calls for. I try to feed my kids before we head out for a holiday event. This way they will be less likely to eat a bunch of junk. Sure, I know they will still have the holiday cookies, but instead of eating 10 for dinner, they will only eat two because they are full. I also bring snacks to eat in the car when we are running between events for the same reason. If I have to bring something to the party, I bring a healthy, fun option. If you look on Pinterest or Google, there are plenty of healthy, fun options for the holidays. I am so nostalgic. I see snowman shaped cookies and I think how much fun it would be for the kids to eat them. I have to remind myself that they are going to eat PLENTY of fun food this time of year. If I can establish a one sweet a day rule, then the kids can decide what they would like to have. Most of the time, my kids like to wait for dessert after dinner. As I look over this list, I think it is a good list of guidance for all of us, not just for the kids. We don’t need to gain weight during the holidays, if we are just a little prepared and if we just exert a little self-control, we too can eat less sugar at the holidays this year. Posted on November 19, 2015 by Jeanna Young and filed under Parenthood, Being a Wife, Motherhood and tagged holidays Christmas Thanksgiving sugar cancer cancer diet sweets nutrition. Every day, I need to remind myself to “Keep God on the right side of BUT”! As a new Christian, I remember when my mentor and now co-author, Jackie, taught me about the phrase “But God . . .” This lesson continues to be one that shapes my worldview and daily life. The phrase “But God . . .” is found 43 times in the Bible. “You meant evil against me; but God meant it for good, in order to . . . save many people alive” (Gen. 50:20). “Their beauty shall be consumed in the grave . . . . But God will redeem my soul from the power of the grave” (Ps. 49:14-15). “For scarcely for a righteous man will one die; yet perhaps for a good man someone would even dare to die. But God demonstrates His own love toward us, in that while we were still sinners, Christ died for us” (Rom. 5:7-8). “But God” is an important declaration in His word. Every day we think about 65,000 words. Of the words we think, the average woman can speak up to 20,000 of those words out loud for the world to hear. The words we actually think, and ultimately say, create our view of life and God. How we form sentences can shape how we respond to a situation and how we live our life. I learned it matters where I place God’s name in a sentence. If I put his name before the “but”, then I am claiming it as my own. I have taken off my “kingdom vision” glasses and put on my own “narrow view” glasses. I have taken over my life and am now my “own” god. However, if I put His name after the “but”, I am giving Him all the power and glory in this world. I can be reassured of His involvement in not only my life, but everyone around me. He is holy, righteous and completely in control. God knew this was going to happen here, but I don’t like it at all. I don’t like what just happened here, but God is completely in control. Do you see how different the second sentence is? During this last season, I was cautioned by one of my favorite quotes – “Keep God on right side of BUT”. Struggling between how much I do and trusting God to do all that He is. There is such a fine line. I found myself putting “God on the left side of BUT!” This is a huge mistake! God is healing me, but I have to eat this way. God has allowed this in my life for a reason, but I am researching for a cure. God supplies all my needs, but I have to depend on others. I have to eat this way, but I know God is healing me. I am researching for a cure, but I know God has allowed this in my life for a reason. I have to depend on others, but God supplies all my needs. I have had to catch myself over and over again in the last months. I am always trying to take over and run the show. This week, I felt like God wanted me to remind myself and tell all of you to keep His name on the right side of BUT! Posted on November 12, 2015 by Jeanna Young and filed under Motherhood, Being a Wife, Spiritual Growth and tagged but God positive thinking positive thoughts faith.